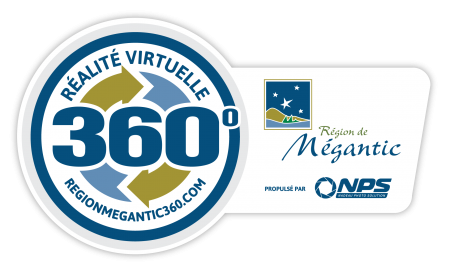 By surfing on this fabulous virtual reality site, you will have the chance to discover the great region of Megantic and all the splendor of its MRC, that is to say the Granite. Immersed in a highly interactive 360º virtual environment, discover the highest peaks in southern Quebec, the site of the first International Dark Sky Reserve, its attractions and numerous cultural and sporting activities. The virtual adventure in 20 municipalities, as if you were there!